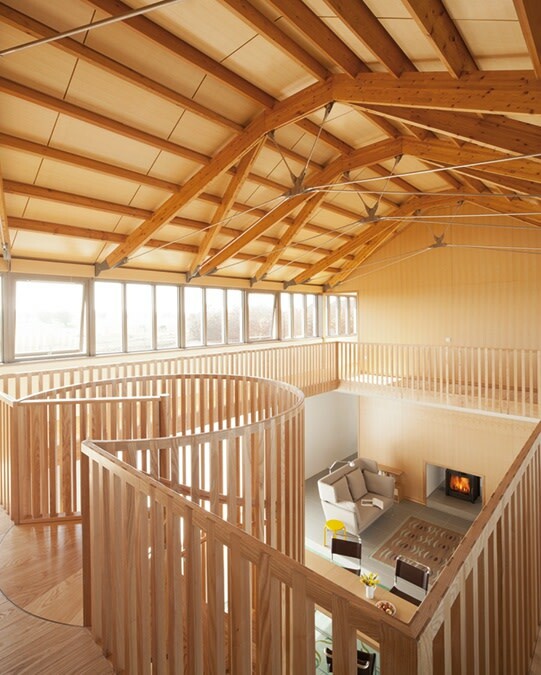 Living Architecture has built a series of modern buildings of extraordinary architectural interest and beauty throughout the UK. 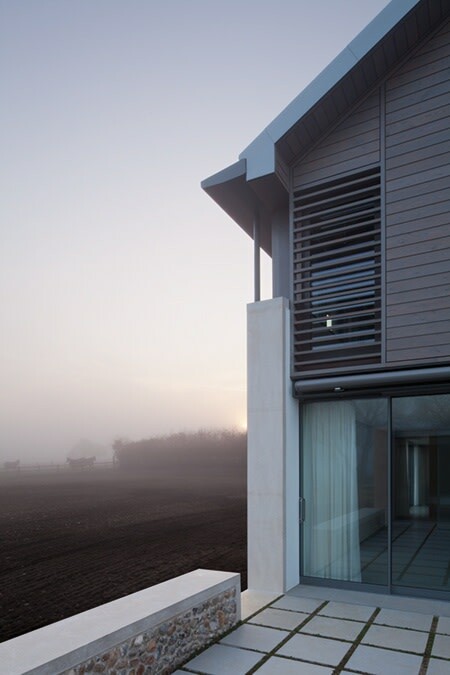 This new house is inspired by the grand yet intimate flint buildings that are prevalent in the local area and it draws additional inspiration from the flat and expansive surrounding landscape that includes fields, marshes, and tidal rivers. 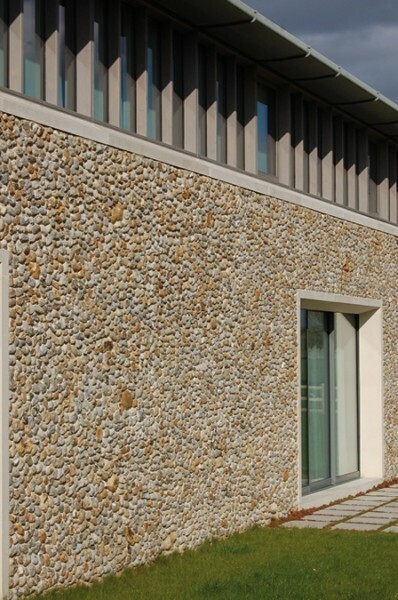 The ground floor is encased in an elegant enclosure of two parallel flint walls. 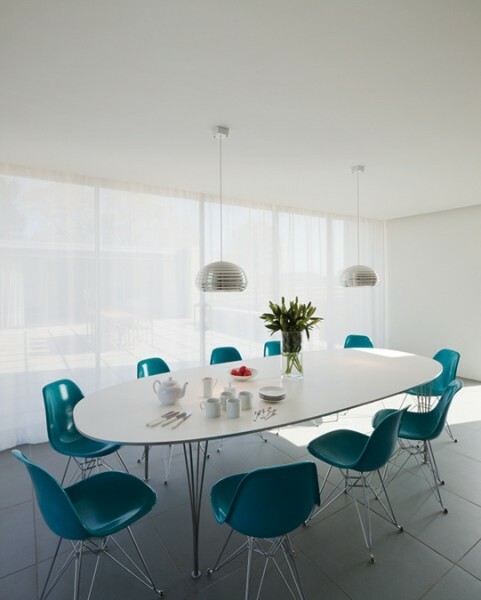 Here, two intimate outdoor spaces are included onto which the interior spaces open. This floor is largely open-plan and includes dedicated areas for a large kitchen and dining room, gallery hall, sitting room and one of the house's five bedrooms. 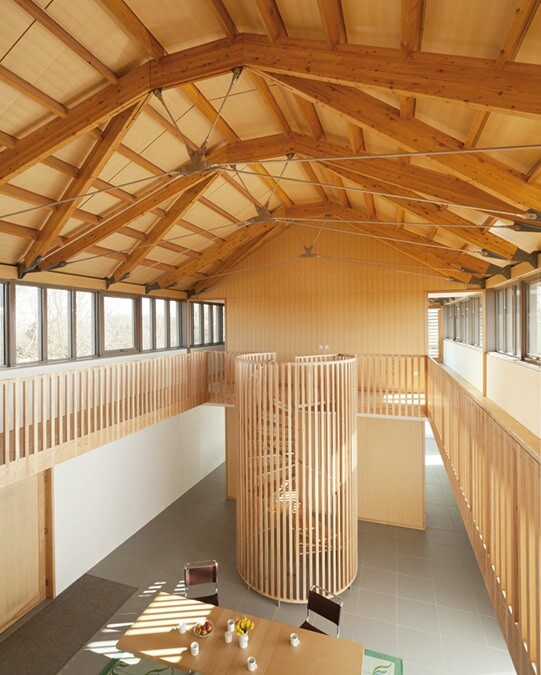 The first floor opens up, with timber structural mullions allowing for wide areas of glazing to facilitate dramatic views to the surrounding countryside. 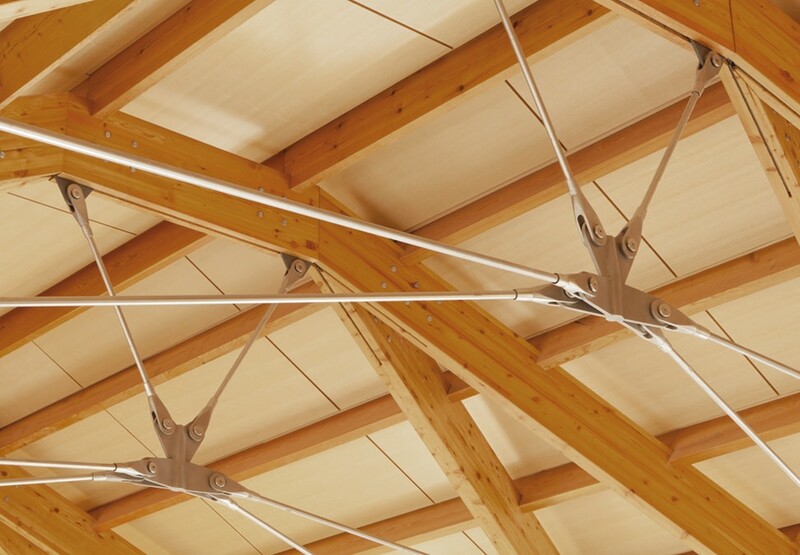 Four bedrooms with ensuite bathrooms are present on this level below the roof, a graceful assemblage of timber and steel cable-tied trusses on the interior and standing-seam zinc on the exterior. 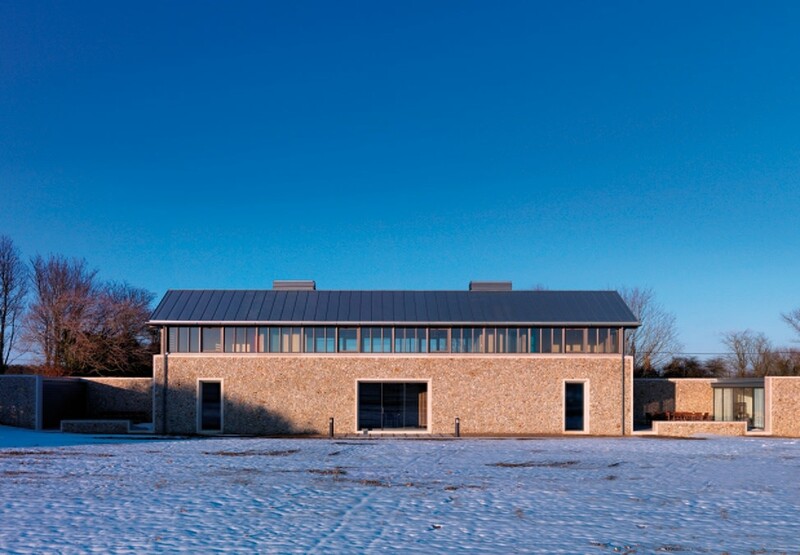 "A stunning, modern environment that, while being totally contemporary, is not only spatially sympathetic to lofty country barns or Norfolk's many medieval churches, but which feels lovingly mapped out to absorb the beauty of the local countryside."